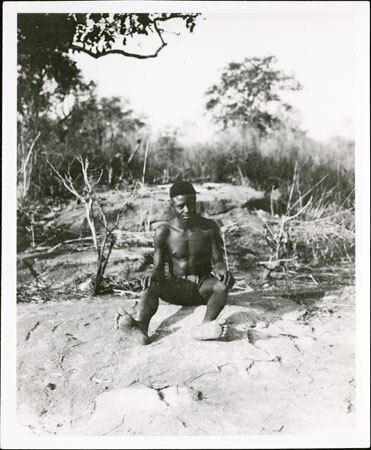 A youth sitting on a rock with his hands on his knees. This image was taken at the same time as those of circumcision initiates seated on the same rock, although it is unclear what role this youth played in the proceedings. Morton, Chris. "Zande youth seated on rock" Southern Sudan Project (in development). 03 Jan. 2006. Pitt Rivers Museum. <http://southernsudan.prm.ox.ac.uk/details/1998.341.336.2/>.